Hello! What’s this? 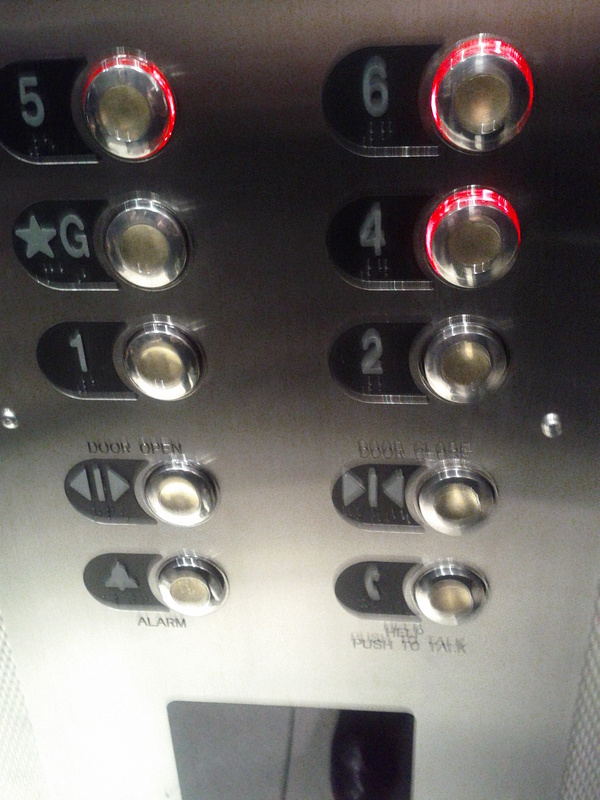 The elevator buttons? No “Retail”! No relationship to the helpful sign at all. Help. 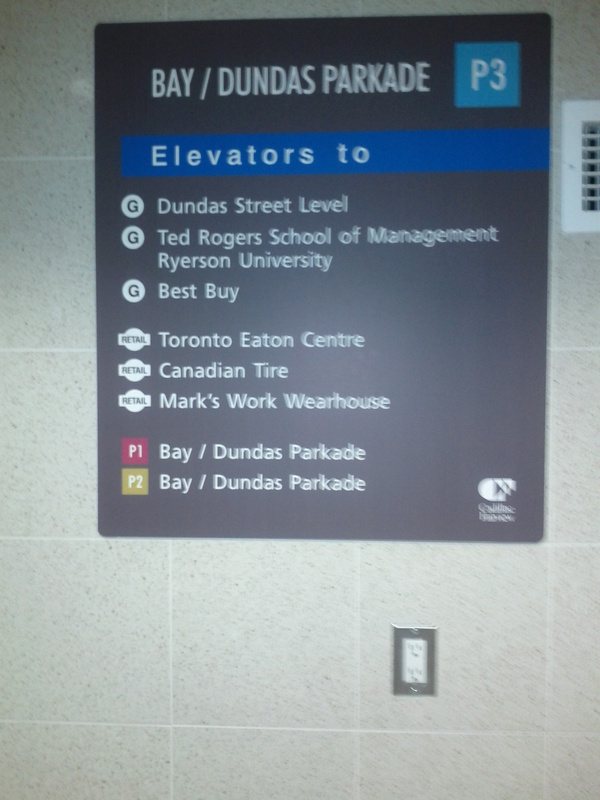 How do I get to Canadian Tire? Oh, wait. 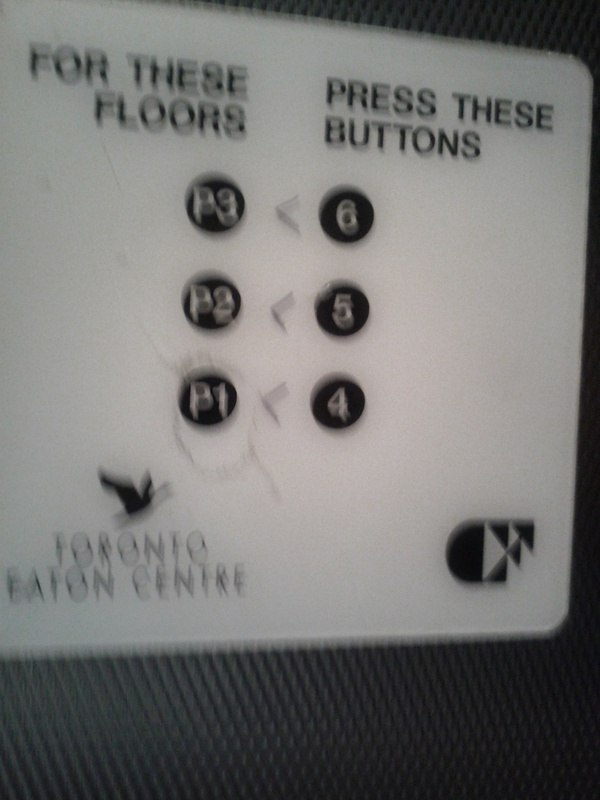 They have this "map the elevator buttons" guide right next tot he elevator buttons. What a relief. But, wait, still no Canadian Tire. What to do? The real message is that the architects and designers know the problem, they see the mistake they made, but they’re too lazy or too cheap to make it right. Besides which, once a shopper has gone to the trouble of parking they’re not going to turn back just because they have trouble finding out where the store is. So who cares!